SAN FRANCISCO, CA--(Marketwired - December 02, 2016) - As it expands and evolves its service offerings to consumers, Sunrun, (NASDAQ: RUN), the largest dedicated residential solar company in the U.S., is launching a new brand identity created by Butler, Shine, Stern & Partners (BSSP) to reflect its customer-centric approach to home solar energy generation, storage and management. A new brand logo is at the heart of Sunrun's new design. It was created to graphically embody the company's service offering of residential solar, putting the homeowner and their home at the center; the rays of the sun permeate the roof and radiate through the home encircled by a continuous cycle of clean renewable energy. "Our new logo, which we call The Sunrun® Brilliant Home™, represents the comprehensive energy solution we're delivering to our customers and the evolution of our brand," explained Ken Epstein, Senior Director Brand Management of Sunrun. "We felt the need to update our identity in a way that better represents our customer centric focus while conveying savings, comfort and peace of mind. Sunrun homes are not just smart, they are Brilliant." 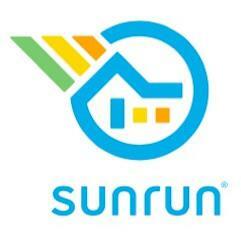 The logo is a visual representation of the Sunrun's brand evolution. Sunrun was established in 2007 as the first company to offer homeowners solar as a service. It is in the process of launching an array of new offerings giving homeowners greater control over managing energy use in their homes. "This new logo speaks to both to the brand's current residential solar energy solution while being future looking and providing longevity as Sunrun continues to evolve its offerings," explained Co-Executive Creative Director, Tom Coates. BSSP has handled communications for Sunrun for the past two years. The logo design is expected to be part of an extended marketing initiative to be launched in 2017. Sunrun (NASDAQ: RUN) is the largest dedicated residential solar company in the United States with a mission to create a planet run by the sun. Since establishing the solar as a service model in 2007, Sunrun continues to lead the industry in providing clean energy to homeowners with little to no upfront cost and at a savings to traditional electricity rates. The company designs, installs, finances, insures, monitors and maintains the solar panels on a homeowner's roof, while families receive predictable pricing for 20 years or more. For more information please visit: www.sunrun.com. BSSP (bssp.com) is a full-service marketing communications agency based in Sausalito, CA, providing services in advertising, digital marketing, data analytics, media strategy and buying, brand identity, design and strategic brand consulting. BSSP is one of the largest independent agencies in the West and is known for providing highly creative, fully accountable marketing solutions to a broad array of marketers including Nature Made Vitamins, MINI, Draft Kings, Allergan, Greyhound, Sunrun, Premier Nutrition, Blue Shield of California and others. Adweek named BSSP Small Agency of the Decade, and Outside magazine recognized the agency by naming it one of the Best Places to Work in America for each of the past five years. Further, Forbes.com deemed BSSP "one of the top 10 agencies in the country."